In 2007, when Colorado high school teachers Jonathan Bergmann and Aaron Sams began experimenting with recording their lectures in order to spend class time on deeper face-to-face learning with students, they probably didnt foresee the major movement that would grow up around what came to be called the flipped classroom. Today, it seems, there is no one correct way to flip the classroom, and approaches vary both by subject and educational philosophy. But no matter what the underlying philosophy, creating, curating, and maintaining a trove of video resources is central to success. To help educators who are new to flipping the classroom, T.H.E. Journal recently asked several experienced educators to offer their video-related best practices. more 9 Video Tips for a Better Flipped Classroom — THE Journal. Are students are doing the work in the flipped classroom? In-video quizzes answer the question: ‘Who is doing their homework?’ and help direct the focus of class. Read more: With flipped learning, how to make sure students are doing the work | eSchool News. Is It Really Hip to Flip? “Try it! You might like it!” is not a sufficient reason for initiating flipped instruction. What are the questions educators should be asking in order to ensure the best outcomes for students? Hardly a week has gone by in the last year when educators have not been bombarded by news articles, blog posts, or invitations to attend webinars and conferences focused on the flipped classroom. Flipping has become a hot topic among both educators and school leaders. But there are some legitimate concerns. A major one is the rationale for selecting the flipped method in the first place, which might displace other valuable, technology-based instructional strategies. A flipped lesson incorporates viewing instructional videos for homework. It’s not the use of video that might make educators skeptical of this strategy, but how and where it is used in instruction and its effect on learners as homework. Although an instructional video can be a valuable tool, is this current focus on the flip being made at the expense of other technologies that should play a role in instruction? Certainly, if educators are going to create videos for learning, they can’t just “wing-it and post-it” and assume learners will be engaged. If you are skeptical and unsure about trying flipped instruction, particularly for mathematics, the following questions and considerations for the design of instruction involving video might help you decide and avoid a flip-flop. Read more: Is It Really Hip to Flip? — THE Journal. You can flip pancakes. You can flip burgers. How do you flip a class? In a lecture-centered classroom, the instructor delivers content in class and then sends students home to complete homework. When you deliver informational content outside the classroom and then use class time to facilitate engagement and deeper learning – that’s a flipped classroom. Flipping learning, however, is about more than pre-class lectures. Effective flips involve two key elements. First, you need to structure lesson plans to shift focus from content delivery to student engagement. In many learning environments, the instructor directs the energy toward his or her lecture. Planning typically starts with the question “What am I going to talk about?” In a flipped environment, this structure is reversed. The instructor directs the energy toward his or her students. Planning starts with the question “What do the students need to do?” This fundamental shift changes the whole dynamic of the learning environment. Second, you need to use your classroom skills effectively to help students transform inert content into mastered material. By flipping the focus of the learning environment from “teacher centered” to “learner centered,” you create an environment that engages students, enhances learning, and creates an exciting classroom atmosphere. Moving from a lecture-based class to a flipped class requires a new set of skills. In order to do it well, you need to shift the way you design your class and implement your teaching strategies to ensure that the learning environment is successful. New York technology teacher and trainer Rob Zdrojewski is flipping the flipped classroom–or, rather, his students are. Read More: In This Flipped Class, Teachers Learn From Students’ Video — THE Journal. In 2011, Katy Independent School District, in partnership with Cisco, launched the final phase of a technology transformation. Learn how Katy ISD realized their vision for education transformation with a BYOD mobile learning strategy. With the flipped classroom pedagogy gaining traction, teachers are looking for ways to safely allow students to watch videos and ask questions about them. A relative new comer, Vialogues, might be just the thing. You can scaffold the discussion: Add comments, surveys and open-ended questions. Guide the discussion in the way you want. Then embed and share your vialogues easily on the learning management system or other website. Are you using Vialogues with you classes? How is it going? Skeptics raise questions about flipped classrooms: How many subjects are really appropriate for this technique? How does it work for students who don’t have computers at home to watch videos or who live in chaotic conditions that make it impossible to absorb new material? What about teachers who deliver inspiring classroom presentations? Won’t students lose something if those lessons are put on video? But supporters of the flip say teachers are finding ways to flip classes of all kinds — even gym class (where teachers send home explanations for what students will be doing in class and then just let the kids do them during class). And they say there are ways around the other problems. 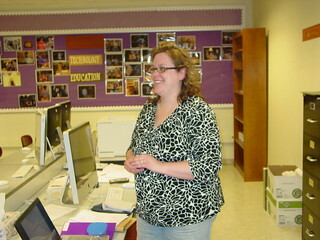 For example, teachers can create other materials for students take home, or offer computer time at school to watch the video. Full Text: The flip: Turning a classroom upside down – The Washington Post. It was a Social Studies 10 class and the topic was “Exploring Twentieth Century Canada.” The teacher’s personal “edublog” included additional references, access to YouTube videos and archived material on lessons for that class to date. It was at that point that I realized how much the delivery of learning has changed, and how fast. Student access to a teacher-guided world of information has revolutionized how, when and where kids are learning now. Not in the future – now. Full Text: Online lessons changing the face of learning. Great video from 3 teachers who changed their modus operandi. “Flipping the classroom” means using class time differently than you would in the traditional mode of instruction — which is to say this: Why waste class time lecturing/presenting during class meeting times when you can ask students to listen to lectures via video outside of class, and then use class time for interaction with students, hands-on group activities, group problem solving, in-class writing, etc.? “Flipping the classroom” means flipping the usual mode of learning — instead of lecturing in class and assigning homework for outside of class, you flip it: lecture gets done outside, homework inside. At Miami University we have been talking about this pedagogical approach as the “engaged learning” model. But well over ten years ago, my AIMS colleague Glenn Platt and his co-authors (Lage, Platt, & Treglia, 2000) coined the term “inverted classroom” to describe this mode of teaching and learning. It is by no means a new model, but it is taking on new meaning in the realm of online education. How do we apply the inverted or flipped classroom model in online instruction — particularly in my field, writing instruction? Full Text: Pondering the “flipped classroom” in the age of online education « Armstrong Institute for Interactive Media Studies. I have been thinking a lot lately about where flipped learning fits into the whole educational reform movement. What place does flipped learning have in this movement? We have learned a great deal about learning in the recent past, but sadly much of that research doesn’t get into actual classrooms. Why is that? First, a little background on educational research: Research suggests that mastery learning, problem based learning (PBL), inquiry learning, hands-on learning, and many other learning practices increase student engagement and performance. But in many classes, teachers are not using these learning strategies. Full Text: The Flipped Class as a Transition to Deep 21st Century Learning | Flipped Learning.